The Decadal will retire from Account Upgrades permanently April 5th. There will be no more Decadals created anywhere, in any AU or event, until Marapets reaches its second decade - August 2024! The Decadal can now wear the Splatter and Fairy Costumes. You can now change the colour of Socks are the Lush Fountain. Dr Yekyll has created a new DNA Minipet in his lab. The Gonk and Decadal can now be cloned to make a Decadonk. The Lottery has been drawn for this week. ANIKA45 is the winner of the 457,700MP Jackpot with the winning numbers of 1, 10, 11, 28, 29 and 45. Congratulations! Last Week's Raffle has now ended. pool22466 is the winner of the Red DNA and 100,000MP prize with the winning raffle ticket number 1166! Congratulations! Make sure you buy your tickets for today's raffle - only 10MP per ticket! The Game of the Week has now changed to Plasma Wars. The Leprechaun has just returned from his St Patrick's Day partying last week. He had such a great time that he is randomly rewarding anyone who completes his quest with these bonus items until April 3rd. This CD will randomly be donated at the Pot of Gold between now and April 3rd. 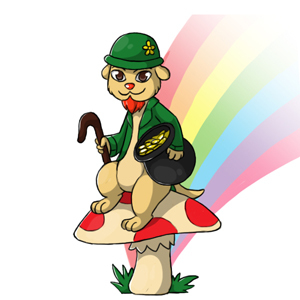 All Green and Leprechaun coloured pets will receive FREE training at the Gym and Elite Gym until April 3rd. A new Weekly Quest Contest has just started. This week's quest game is Slater Stalker. The challenge is to complete as many of these Quests this week. The top 3 players at the end of the challenge will receive a Gingerbread Costume, 200,000MP and a Gold Trophy, the next 6 players will receive 150,000MP and a Silver Trophy and the next 9 players will receive 100,000MP and a Bronze Trophy. A new Weekly Item Contest has just started. This week's item is Blue Paint, you will need to send this item to the 'Challenge' account. The challenge is to send as many of this item to 'Challenge' this week. The top 3 players at the end of the challenge will receive a Jar of Fog, 200,000MP and a Gold Trophy, the next 6 players will receive 150,000MP and a Silver Trophy and the next 9 players will receive 100,000MP and a Bronze Trophy. A new Weekly Battle Contest has just started. This week's opponent is Wugor, you will need to have a Wugor Trading Card in your Battle Deck. The challenge is to win as many battles against this opponent this week. The top 3 players at the end of the challenge will receive a Caveman Trading Card, 200,000MP and a Gold Trophy, the next 6 players will receive 150,000MP and a Silver Trophy and the next 9 players will receive 100,000MP and a Bronze Trophy. The Lottery has been drawn for this week. Lola_94 is the winner of the 401,100MP Jackpot with the winning numbers of 3, 11, 17, 23, 33 and 41. Congratulations! Last Week's Raffle has now ended. ccctoshiba is the winner of the Red DNA and 100,000MP prize with the winning raffle ticket number 2396! Congratulations! Make sure you buy your tickets for today's raffle - only 10MP per ticket! A new Weekly Quest Contest has just started. This week's quest game is Candy Tree. The challenge is to complete as many of these Quests this week. The top 3 players at the end of the challenge will receive a Rainbow Costume, 200,000MP and a Gold Trophy, the next 6 players will receive 150,000MP and a Silver Trophy and the next 9 players will receive 100,000MP and a Bronze Trophy. A new Weekly Item Contest has just started. This week's item is Mint Chocolate Leido, you will need to send this item to the 'Challenge' account. The challenge is to send as many of this item to 'Challenge' this week. The top 3 players at the end of the challenge will receive a Watermelon Gummy Stomach, 200,000MP and a Gold Trophy, the next 6 players will receive 150,000MP and a Silver Trophy and the next 9 players will receive 100,000MP and a Bronze Trophy. A new Weekly Battle Contest has just started. This week's opponent is Sniffer, you will need to have a Sniffer Trading Card in your Battle Deck. The challenge is to win as many battles against this opponent this week. The top 3 players at the end of the challenge will receive a Gobble Knight Trading Card, 200,000MP and a Gold Trophy, the next 6 players will receive 150,000MP and a Silver Trophy and the next 9 players will receive 100,000MP and a Bronze Trophy. The Lottery has been drawn for this week. fluffynkacy is the winner of the 493,500MP Jackpot with the winning numbers of 1, 2, 5, 32, 33 and 34. Congratulations! Last Week's Raffle has now ended. kidgame2001 is the winner of the Red DNA and 100,000MP prize with the winning raffle ticket number 2335! Congratulations! Make sure you buy your tickets for today's raffle - only 10MP per ticket! A new Candy Account Upgrade has been released. The main prize is a Restricted Pet Willa! You will receive a candy themed trading card, book, gourmet food, dvd, costume, stamp, minipet and either a Candy coloured Willa or Azul Enchanted Plushie. The Azul, Decadal, Figaro, Grint, Willa and Zetlian can now wear the Candy Costume. There was an old woman who lived in a shoe. She had so many Chibs, she didn't know what to do; They stole her socks and nipped at her feet; In a rage she threw them out on the street! A new Quest has been released in Vortex Park. Shusan is a crazy cat lazy with a love of clothing. She loves clothes so much that she even lives in a shoe! Vortex Park is so windy that everytime she hangs out her washing, it blows away. She wants every player to love clothes as much as her and will reward you with a Sock if you have the clothing item she asks for in your Wardrobe collection. If you find a matching pair of socks, these socks will be added to your Inventory. There are currently 109 Socks to collect for your Wardrobe. If you have the Missing Wardrobe Giftbox, whenever you use Price Checker on any Clothing item, it will now show a red tick icon if you already have this item in your Wardrobe! A new Weekly Quest Contest has just started. This week's quest game is Haunted House. The challenge is to complete as many of these Quests this week. The top 3 players at the end of the challenge will receive a Snowman Costume, 200,000MP and a Gold Trophy, the next 6 players will receive 150,000MP and a Silver Trophy and the next 9 players will receive 100,000MP and a Bronze Trophy. A new Weekly Item Contest has just started. This week's item is Broad Beans, you will need to send this item to the 'Challenge' account. The challenge is to send as many of this item to 'Challenge' this week. The top 3 players at the end of the challenge will receive a Snow Easter Egg, 200,000MP and a Gold Trophy, the next 6 players will receive 150,000MP and a Silver Trophy and the next 9 players will receive 100,000MP and a Bronze Trophy. A new Weekly Battle Contest has just started. This week's opponent is Agent, you will need to have a Agent Trading Card in your Battle Deck. The challenge is to win as many battles against this opponent this week. The top 3 players at the end of the challenge will receive a Agent Trading Card, 200,000MP and a Gold Trophy, the next 6 players will receive 150,000MP and a Silver Trophy and the next 9 players will receive 100,000MP and a Bronze Trophy. The Lottery has been drawn for this week. twinkitt is the winner of the 533,000MP Jackpot with the winning numbers of 22, 28, 32, 35, 45 and 47. Congratulations! Last Week's Raffle has now ended. RabbitPup is the winner of the Red DNA and 100,000MP prize with the winning raffle ticket number 3882! Congratulations! Make sure you buy your tickets for today's raffle - only 10MP per ticket! A new Weekly Quest Contest has just started. This week's quest game is Hump Racing. The challenge is to complete as many of these Quests this week. The top 3 players at the end of the challenge will receive a Prison Costume, 200,000MP and a Gold Trophy, the next 6 players will receive 150,000MP and a Silver Trophy and the next 9 players will receive 100,000MP and a Bronze Trophy. A new Weekly Item Contest has just started. This week's item is Grint Stamp, you will need to send this item to the 'Challenge' account. The challenge is to send as many of this item to 'Challenge' this week. The top 3 players at the end of the challenge will receive a Easter Pearl, 200,000MP and a Gold Trophy, the next 6 players will receive 150,000MP and a Silver Trophy and the next 9 players will receive 100,000MP and a Bronze Trophy. A new Weekly Battle Contest has just started. This week's opponent is Halloween Elger, you will need to have a Halloween Elger Trading Card in your Battle Deck. The challenge is to win as many battles against this opponent this week. The top 3 players at the end of the challenge will receive a Bomb Trading Card, 200,000MP and a Gold Trophy, the next 6 players will receive 150,000MP and a Silver Trophy and the next 9 players will receive 100,000MP and a Bronze Trophy. The February 2015 Monthly Checklist winners have been announced and the prizes have been rewarded. Congratulations to all of those who have won. Don't forget, this is a monthly permanent feature that you can enter for FREE. If you haven't already, you should start entering the March event! The Lottery has been drawn for this week. SplatterColor is the winner of the 396,000MP Jackpot with the winning numbers of 4, 11, 14, 24, 25 and 43. Congratulations! Last Week's Raffle has now ended. girlflower388 is the winner of the Red DNA and 100,000MP prize with the winning raffle ticket number 1281! Congratulations! Make sure you buy your tickets for today's raffle - only 10MP per ticket! The Game of the Week has now changed to Pearl Skipping. A new Weekly Quest Contest has just started. This week's quest game is Sewer Monster. The challenge is to complete as many of these Quests this week. The top 3 players at the end of the challenge will receive a Hobo Costume, 200,000MP and a Gold Trophy, the next 6 players will receive 150,000MP and a Silver Trophy and the next 9 players will receive 100,000MP and a Bronze Trophy.